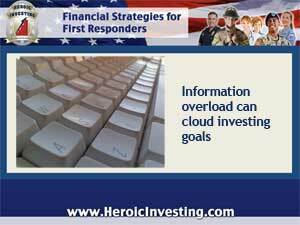 The Internet makes all the finance and investing information you’ll ever need available all the time. And as we’ve been reporting in this space, new mobile technologies mean that you’ll never be without access to all that stuff, wherever you go. But does all this constant connectivity help — or hurt — an investor’s long-range game plan? Unlimited round the clock access to all those sites can make your investing life easier. Thanks to apps and social media, forums and online marketplaces, you can close deals, talk to buyers, sellers and real estate professionals, research properties and screen tenants at the touch of a fingertip. But a few dissenters say that isn’t necessarily a good thing. Then there’s good old information overload. With so many apps claiming to be the solution to your problems, how do you decide which is right for you? With so many websites responding to your search, where to do you begin? The brain freezes when faced with the mountain of information generated by a single search. Eliminate cyber-clutter, too. Prune your apps folder and keep only the ones that help you reach your goals. Limit online searches and regular visits to a few trusted websites that, again, match your goals. If you find other interesting information, bookmark it and visit when you have free time.